Birdie’s presents the 20th Annual Fahrenheit Valentine’s Ball! This year’s venue is YJ’s Snack Bar; David Ford’s new space is larger and has a stage but has retained all of the character and substance of the former location. 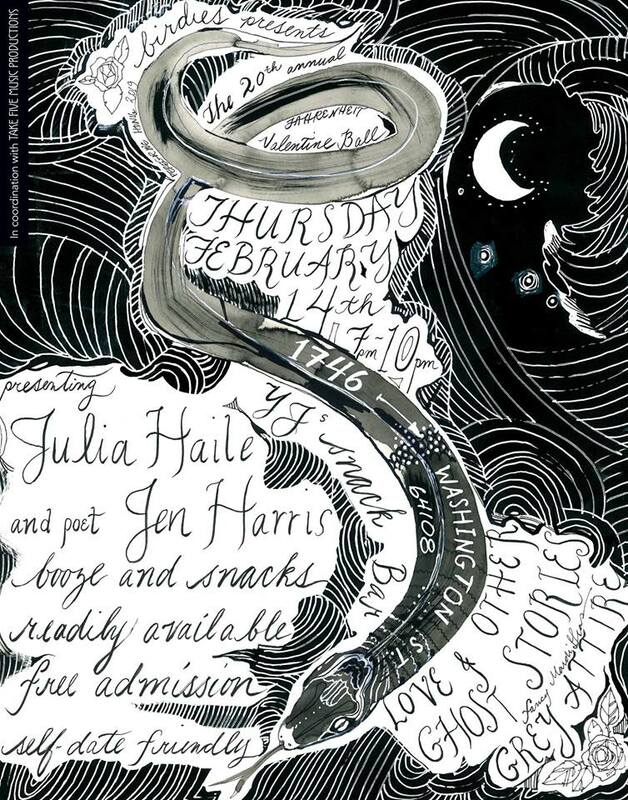 Featuring songstress Julia Haile and poet Jen Harris, this event is guaranteed to be the perfect Valentine for your date (or for yourself, because that’s cool too). Drinks and snacks will be available. Attire is Mardi Gras fancy, and the color theme this year is grey. Come get some love with us!